The death took place in London on March 13th of the British communist Bill Bland. His political work and literary output was situated in the complex, tumultuous period inaugurated by the death of J.V. Stalin and the Twentieth Congress of the CPSU, the harbinger of the downfall and dissolution of the socialist and democratic camp. Alongside the decades long decay of the USSR and the people’s democratic states of Central and Eastern Europe the period witnessed the polemics on the general line of the international communist movement in which salient roles were played by the CPSU, the Party of Labour of Albania and the CPC, and the consistent defence of Marxism and socialism by the PLA and the People’s Socialist Republic of Albania. In the former colonial world the great Chinese democratic revolution embarked upon profound anti-imperialist and anti-feudal social transformations, the great leap forward and the cultural revolution. The national liberation struggles of Cuba and Vietnam scored their striking successes. In Britain the Marxist-Leninists were confronted by the revisionism of the Communist Party of Great Britain and the need to advance the cause of the labour movement. Bill Bland was born in Ashton-under-Lyne, Lancashire, on 28th April 1916 in a family which was financially well-off, his father being the director of a printing works. He studied in the local primary school before going on to Manchester Grammar School which was then a private school. With the onset of the great depression his father’s works were closed down and he was compelled to leave school at the age of 15. He found employment as an optician’s assistant and studied part-time at the Manchester College of Technology. At the age of 21 he visited Moscow on holiday, in 1937 where he learnt that bread was available free in the stores. Before the beginning of the Second World War he migrated to New Zealand. It was there that he joined the Communist Party of New Zealand. In Auckland he held the post of district secretary, conducting classes in the Marxist School, and was a member of the Executive Committee of the CPNZ. He returned to England in 1950 and his membership was transferred to the CPGB. It was while he was the district secretary of the Seven Kings’s branch (Ilford) that Bill Bland became increasingly unhappy with the CPGB programme ‘The British Road to Socialism’ and later with the Twentieth Congress of the CPSU. In an interview given in 1994 he revealed that he was one of a handful of persons who dissented from the new party policies. In 1957 he played a key role in establishing the Albanian Society which had the aim of disseminating information about the history, culture, language of that country in Britain. Three years later he become secretary of the society, a post which he held almost continuously for 30 years until the restoration of capitalism in Albania. He was Editor of the journal of the society, Albanian Life. The polemics of the international communist movement between the CPC and the CPSU made their impact felt on the British communist movement. From the late summer and autumn of 1962 an anti-revisionist grouping came into existence based in London which worked within the CPGB and engaged in such activities as selling CPC literature and organising interventions at internal party meetings directed against the revisionist policies of the party leadership. Matters within the party rapidly came to a head when on May 14th 1963 the Executive Committee of the CPGB adopted a resolution critical of the CPC positions. The adoption of this decision represented a moment of decisive change in the history of the party, it made flagrant and dishonest misrepresentations of the developing Marxist-Leninist line of the CPC, particularly of the proposals contained in its June 14, 1963 letter ‘A Proposal Concerning the General Line of the International Communist Movement’, and compelled the members of the CPGB to make a choice between reformism and revolution on the fundamental questions in the fight for socialism in Britain. After this resolution was published on September 18th 1963 the Editorial Boards of the three main party organs, The Daily Worker, Comment and Marxism Today refused to carry further contributions which supported the stands of the CPC. Hitherto the Marxist-Leninists had been reluctant to take the struggle against revisionism outside the CPGB, confining themselves to inner-party activity. This policy had succeeded in defeating the September 18th Resolution in a number of Branches in the London District and elsewhere. In the light of the new situation the London committee of anti-revisionists decided to hold a national conference of Marxist-Leninists to re-establish a communist party in Britain. The ‘Lucas Arms Conference’ by a narrow majority decided to establish an open anti-revisionist centre. Accordingly the Committee to Defeat Revisionism for Communist Unity was formed composed of expelled members of the CPGB. The leadership of the CDRCU devolved upon Mike McCreery. An Editorial Board was elected for the journal Vanguard. At the height of its development between February 1964 to February 1965 the CDRCU had cells in the major British cities, held public meetings, sold Marxist-Leninist literature including the publications of the Party of Labour of Albania and the Communist Party of China. During the course of the work of the CDRCU McCreery authored pioneering works criticising the British Road to Socialism and the necessity of organisation at the point of production. With his death at the early age of 36 the CDRCU rapidly broke up. In the face of this a majority of the CDRCU members regrouped at a Conference held in Manchester and established the Action Centre for Marxist-Leninist Unity in September 1965 with Mike Baker, who had been a close comrade of McCreery and a member of the CC of the CDRCU, as its Secretary and Editor of its official organ, Hammer or Anvil. Bill Bland, while still a member of the CPGB, was persuaded to contribute to Hammer or Anvil from its very first issue of November 1965 under the name of ‘W. Steele’. He thus was able to participate in the clarification of a whole number of fundamental questions of theory and practice concerning the relationship of classes and the structure of British society and the national question in Britain. Between May and September 1967 the ACMLU initiated the Preparatory Committee for a Conference of Marxist-Leninist Unity and, subsequently, the Conference of Marxist-Leninist Unity which culminated in the formation of the Marxist-Leninist Organisation of Britain. The MLOB published the journals Red Front and Red Vanguard (later renamed Class Against Class). The Secretary of the MLOB was Mike Baker. Bill Bland was Chairman of the organisation until 1974 when it split. In the period 1967 to 1974 Bill Bland drafted a number of reports on the cultural revolution in China, the ‘centrist’ parties of North Korea, Vietnam, Cuba and the CPI(M). These and other themes were later taken up and elaborated between 1975 and 2001 in the pages of Compass, the organ of the Communist League, and in the papers submitted to the Stalin Society, the Marxist-Leninist Information Bureau and The International Marxist-Leninist Review. A number of areas investigated by Bill Bland constitute part of his lasting political legacy. His studies of the economy and politics of the USSR broke new ground. At the core of this work was his volume ‘Restoration of Capitalism in the Soviet Union (Wembley, 1980) which went a considerable way to establish that the commodity became the dominating and determining feature in the products of the USSR by the 1960s, that the free Soviet worker had been reduced to the position of a wage-labourer, that the means of production had become commodities, that surplus value was being produced which was being transformed into profits : all this was demonstrated in great empirical detail, particularly with reference to the abolition of central planning, the expansion of the autonomy of the enterprises and the importance of the role of profit. Bland based his study on Marx’s Capital and Stalin’s Economic Problems of Socialism in the USSR and founded on a summary of the available scholarly studies, indicated the importance of the Leningrad Case and the revisionist economic theses of N.A. Voznesensky for an understanding of the political economy of the restoration of capitalism. Bland’s study together with the other major studies of this subject in Ireland, the US and particularly Albania revealed the hollowness of the claims of the USSR under Khrushchev and Brezhnev, as well as the bulk of the people’s democratic states, to be based on socialist foundations. This had obvious political ramifications for the international communist movement then, and, even today for the revisionist trends the world over uphold not the socialism of Marx, Engels, Lenin and Stalin but that of Khrushchev and Brezhnev and their equivalents in the former people’s democracies. A major portion of the writings of Bill Bland were devoted to examining and refuting the myriad of charges levelled by bourgeois historians and the modern revisionists on the life and work of Joseph Stalin. Among the major themes taken up were a history of Trotskyism, an evaluation of the ‘Testament’ of Lenin, the murder by oppositionist elements of S.M. Kirov, the nature of the purges and the trials, the German-Soviet Non-Aggression Pact of 1939, the war with Finland, the reasons for the resettlement of some of the Soviet nationalities during the Second World War. Especially important were the critiques of the political economy of the various oppositions, the history of the Cominform’s struggle against Yugoslavian revisionism, and the defence of the aesthetics of socialist realism. These writings were of great importance in clarifying the understanding of the Stalin epoch at a time when it was being assailed from almost all directions. These investigations enabled him to grasp the importance of the political literature which emerged from Russia after 1991 such as the reminiscences of Molotov and the writings of the Russian Communists. The defence of socialist Albania over more than three decades and the building of friendship between Britain and Albania bore an enormous political significance. Not only was Albania after the 20th Congress the sole beacon of socialism, it was the Party of Labour of Albania which spearheaded the exposure of modern revisionism in what came to be popularly known in India as the ‘great debate’. Over the years Bill Bland, through the Albanian Society disseminated information about the developments in that Balkan nation, the construction of socialism on the basis of Marxist socialism, uncontaminated by the floodtide of ‘market socialism’ which enveloped the vast territories between Belgrade and Beijing, as well as the cultural achievements of a country which had before the liberation from fascism been one of the most backward countries of Europe. The rich literature of the struggle against Soviet revisionism by the PLA became known in the 1960s while from the late 1970s, after the exposure of Chinese revisionism, the distribution of Enver Hoxha’s memoirs and diaries had a profound political impact. During the course of this work he learnt the Albanian language which facilitated the translation of varying kinds of literary work which would otherwise have been unknown to the English reading world. Some major instances of this were the translation of the multi-author two volume Foreign Literature for Secondary Schools which covered the entire period from Homer to Brecht, the Family and Penal Law of the PSRA and extracts from the memoirs of Enver Hoxha, Among Simple People. The engagement with matters Albanian engendered two major publications: A Tangled Web. A History of Anglo-American Relations With Albania 1912-1955 published in 1986 jointly with Ian Price and Albania in the World Bibliographical Series, Vol. 94, Clio Press, Oxford, 1988. The Albanian Society work had international ramifications and as far as India was concerned he was always ready to assist the India-Albania Friendship Association and its journal Socialist Albania. After the restoration of capitalism in Albania he played a major role in translating and disseminating the writings of the Albanian Communists who were attempting to restore socialism in the difficult underground and illegal conditions. Bill Bland consistently upheld the principle of communist unity, frequently proclaiming that he wished his organisation, the Communist League, to be dissolved in the interests of broader principled unity of the Marxist-Leninists. That he actively sought to implement his understanding is shown by a number of instances. After the publication of the Editorial of Zeri i Popullit of 7th July, 1977 which criticized the pro-imperialist Theory of Three Worlds a number of parties across the globe broke with Chinese revisionism. In Britain the CPB(ML) followed suit and in these circumstances the Communist League dissolved itself and its members individually entered this party. 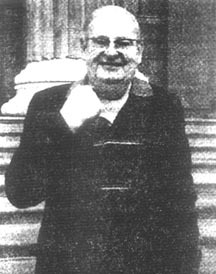 In the 1990s Bill Bland was active in the formation of the Marxist-Leninist Research Bureau through which it was sought to clarify the ideological issues which divided the British communist organisations. In the same spirit he played an active role in the establishment of the National Committee for Marxist-Leninist Unity which had the objective of not only fighting revisionism but was also concerned to fight practical ways for Marxist-Leninists to rebuild the communist movement. He had a similar approach on the question of international communist unity. Under the editorship of Bill Bland, Compass published the statements of the International Conference of the Marxist-Leninist parties and organisations. He expressed his strong reservations to the formation of any international grouping separate from the International Conference. Despite the contributions made by Bill Bland to the communist movement it is not possible to ignore some serious errors of interpretation committed by him pertaining to the history of the international communist movement. As is known the victory of Nazism in Germany brought about a situation in which the perspectives of a revolutionary socialist offensive envisaged by the Sixth Congress of the Comintern of 1928 no longer held and it became imperative to reorientate the international communist movement towards a policy of defeating fascism. In 1934 Dimitrov and Stalin took the initiative to apply the tactics of united front in a new manner, especially through the popular front. During the course of the war they jointly refashioned the organizational forms of proletarian internationalist unity, dissolved the Comintern in 1943, established the International Information Department of the CPSU(b) and, later, the Cominform. Bill Bland rejected these policies even though Stalin had expressed his support for them, dubbed them as ‘revisionist’ and located these as the fountainhead of modern revisionism. Stalin was not directly or openly assailed on these questions but Dimitrov was categorized as an agent of Nazism and a tool of imperialism. Stalin had, it was argued, no role to play in the Comintern after 1928 which was controlled by a ‘revisionist majority’. By this contrived fiction artificially superimposed on the history of the Comintern the actual policies of Stalin were rejected and the ‘real policies’ of Stalin as interpreted by Bill Bland were counterposed in their place. We may also note the pronounced errors on the national and colonial questions. Bill Bland rejected the views of Lenin and the Comintern on the existence of the black nation with the right of self-determination in the USA. He also upheld the social-democratic theory of ‘decolonisation’ propagated by M.N. Roy by which it was considered possible for significant economic development, industrial advance and ‘decolonisation’ to take place in colonies such as India without the occurrence of a democratic revolution. This theory was rejected firmly at the Sixth Congress of the Comintern in 1928 and its falsity has been confirmed in the decades after 1947. In three major studies in 1968, 1975 and 1997. Bill Bland examined the course of development of the Chinese revolution – initially prompted by disquieting reports of events in the cultural revolution. These investigations were at their most perceptive when examining the developments between 1953 and 1958 when the CPC put forward a perspective of transition of socialism in which it was not considered necessary to transform the people’s democratic dictatorship established in 1949 – which included the political parties of the middle bourgeoisie – into a people’s democracy which fulfilled the functions of the dictatorship of the proletariat which required the removal of the parties of the national bourgeoisie from state power. Parallel to this was the projection of a notion of constructed socialism in which the national bourgeoisie, while subjected to restrictions in the form of the joint state-private enterprises, was not abolished, and a ‘socialism’ in which the former kulaks and landlords after 1955 were accepted into the collective farms and people’s communes. These departures from Marxism were justified in Mao’s ‘On the Correct Handling of Contradictions Among the People’ where, it was argued that in the – unspecified – concrete conditions of China the middle bourgeoisie was constructing socialism. Mao’s theses quietly superceded the Marxist-Leninist views of Georgi Dimitrov and others who correctly noted the necessity to ‘annihilate’ the capitalist elements in town and country in the second, socialist stage of people’s democracy. Mao’s views were put into practice in the German Democratic Republic, North Korea and North Vietnam. Bill Bland correctly pinpointed the connection between Mao’s views on this question and the policies of the revisionist parties in the people’s democracies of Asia. Also successfully delineated was the process of weakening centralized economic planning in these years and the encouragement given to economic decentralisation. These enquiries did not extend to a study of such a seminal work of ‘market socialism’ as Mao Zedong’s ‘Critique of Soviet Economics’ or into the economic relations of Chinese society between the great leap forward and the cultural revolution. In so far as he dealt with the period prior to liberation his views were coloured by a rejection of the perspectives elaborated by Stalin and Dimitrov with regards to the necessity of forging a united national front against Japanese imperialism incorporating the forces of the Kuomintang and Chiang Kai-Shek. This approach, which was programmatically concretised in broad terms in Mao Zedong’s works such as On New Democracy and On Coalition Government, were repudiated as ‘revisionist’. Bill Bland will be remembered by the communist movement for having devoted his entire adult life to the cause of communism, for standing by the principles of Marx, Engels, Lenin and Stalin when almost the whole international communist movement was being penetrated and corroded by lesser doctrines, for having applied the principles of the classics to cognise the problems engendered by modern revisionism and to have sought out the path to communism in difficult times. If in these complex circumstances he sometimes strayed or erred in his interpretations these will be put to one side and all that is positive will form part of the treasure-house of Marxism. A Red Salute to you Comrade Bland! Dear Family members and relatives of our beloved comrade and friend Bill Bland. With profound sorrow we have learned this evening about the unexpected death of our beloved comrade and friend Bill Bland. With this man, having a clear spirit like amber, a sincerity like no one else, faithful like few men in this world, farsighted, clear in thought; we were fortunate to have had connections for several years and we were able to exchange opinions about many matters that pre-occupy true communists today. Through this continued cooperation, we learned a great deal about how not to stray from the path we were taking. The analysis that beloved Bland has made with regards to the developments in the former Soviet Union, in China, in Korea, in Vietnam and in Cuba, are of a special importance and have thus entered into the golden fund of Marxist-Leninist literature. The articles ‘On Stalin’ and ‘In defence of Enver Hoxha’, which we have translated and published in our press, have been read, with great interest, by thousands of people, receiving the highest praise. Compass, where the bright mind of Bland has continuously been present, has been a most valuable publication for Albanian communists because it has, in addition to information, also given precise opinions based upon Marxist-Leninist methodology. For Albanians, Bland remains a true friend due to the fact that he has brought to light, like no one else, the intrigues and the traps organized by the imperialist powers, against the interests of our nation during the past one hundred years. The original documents in the book ‘A Tangled Web’ reflect his international communist character and morals. Our dear comrade and friend Bill Bland will be greatly missed, not only by his country and family, but by the whole world communist movement, as a man full of virtue and rare political analysis. On this occasion, on behalf of the communists of Albania, we express our sorrow by being spiritually close to you. Long live his memory! Fitim Caushi, Member of the Central Committee of the PKBSH. A Memorial Meeting was held at Conway Hall, London, on Sunday, April 22, for Bill Bland. The meeting was organised by the Stalin Society. Bill Bland was for many years, up to 1990, Secretary of the Albanian Society. He was one of the first communists to break from the CPGB in the early sixties over the programme of the ‘British Road to Socialism’ and over the revisionist betrayal. The Memorial Meeting was chaired by Harpal Brar, Chair of the Stalin Society. Members of his family, including his two daughters, Eve and Ellen, and his wife, were present, as well as many friends and associates made in the course of a long and active life militating in the Marxist-Leninist movement. After an introduction from the Chair, the meeting stood in silence in his memory. An address was delivered by Norberto Steinmayr, a close comrade, in which he reviewed Bill Bland’s life and work. The speaker pointed out that from 1937, when at the age of 21 he had paid a visit to the Soviet Union, Bill Bland had dedicated his entire life and activity to the advancement of socialism and communism. The speaker paid tribute to Bill Bland’s wide-ranging knowledge and abilities, and pointed out that he was never afraid of voicing an unpopular view if he believed his researches bore out the truth of such conclusions. In his capacity as Secretary of the Albanian Society he untiringly supported socialist Albania, and his defence of J.V. Stalin was legendary. His lack of egoism and his modesty were reflected in a simple way of life and in the very modest circumstances in which he lived. Following moving and amusing personal reminiscences by his two daughters, Eric Trevett, President of the New Communist Party, and Steve Calder of RCPB(ML) spoke from the platform. Eric Trevett pointed out that when we celebrate the life of a fallen comrade, we incorporate what is best in that life in carrying on the work. He emphasised the positive opportunities for the future which such an approach opens up. Steve Calder’s tribute is reproduced below. A letter of tribute was read from Professor Emeritus Martin Smith, who had been President of the Albanian Society for a number of years following the death of A. L. Lloyd. A number of other participants in the Memorial Meeting then spoke of Bill Bland’s qualities and his work. The Chair concluded the meeting with a call that Bill Bland’s life’s work goes on. Light refreshments were served, and the participants continued to reminisce over Bill Bland’s legacy and its attendant controversies, as well as look at some of the photos of Bill Bland which captured his personality. Tribute to Comrade Bill Bland Given by Steve Calder, RCPB(ML), at the Memorial Meeting At Conway Hall. Our Party, RCPB(ML), is deeply grateful to the Stalin Society for its invitation to us to participate in this Memorial Meeting to Comrade Bill Bland. We were very sad when we heard of Comrade Bill’s passing away. We had worked together with him over the years, most notably when he was Secretary of the Albanian Society. Recently, we had met him in connection with his research in writing a history of the anti-revisionist movement in Britain, and on other matters. We have many affectionate memories of Comrade Bill and his indefatigable character in all the work he took up. His presence, in his characteristic open necked shirt and his sandals, wherever circumstances demanded that a communist should be present to do their duty, seemed never changing. Comrade Bill and our Party shared many preoccupations. There was the defence of socialist Albania before its collapse, the defence of the purity of Marxism-Leninism, the necessity for the unity of the Marxist-Leninists – these were some of the areas in which our interests converged. Our association with Comrade Bill goes back to the time when the 1970s were turning into the 1980s, at a time when the international communist movement was indebted to Enver Hoxha and the Party of Labour of Albania for their contribution to the struggle against Khrushchevite revisionism and the exposure of Mao Tsetung Thought. Many cadres of our Party were active in the Albanian Society throughout the 1980s, working with Comrade Bill, in building friendship and understanding in Britain with socialist Albania. I myself had the honour of being London Regional Secretary of the Albanian Society in the early 80s and working on its magazine, Albanian life, with Bill Bland. More recently, when the retreat of revolution and the historic turning point in the world’s affairs have put on the agenda the necessity for the unity of Marxist-Leninists on a new historical basis, Comrade Bill Bland has been part of the forces who had appreciated that such a unity is necessary and has to be worked for. Our Party had exchanged views with Comrade Bill on a number of occasions on this important work. It seems to us that Comrade Bill was one of those rare human beings of whom it can be said that they have devoted their whole life to high ideals, and have not been swayed from their task. Comrade Bill was optimistic to the last that socialism remains the future of humankind, and we are only too happy to declare that we join with him in this optimism. A salute to you, Comrade Bill! May the causes to which you dedicated your life come to fruition in the not too distant future! Click here to return to the September 2001 index.